Law enforcement officials and undercover cops are constantly looking for a compact handgun which can be concealed well. A popular choice for people with such needs is Shield. In this article, you will read more about shield, IWB holsters and how to choose the right IWB holster? 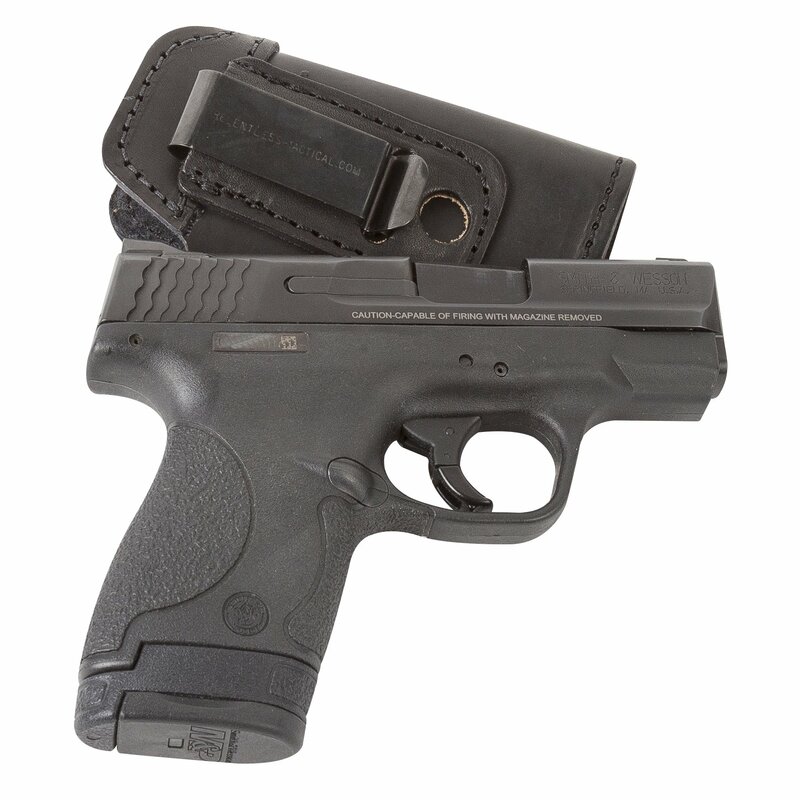 We have also handpicked 3 best IWB holster for Shield with a detailed review of each. Our list of pros and cons for each holster will give you a better idea what would be a good fit for you. 3 How To Pick The Best IWB Holster? 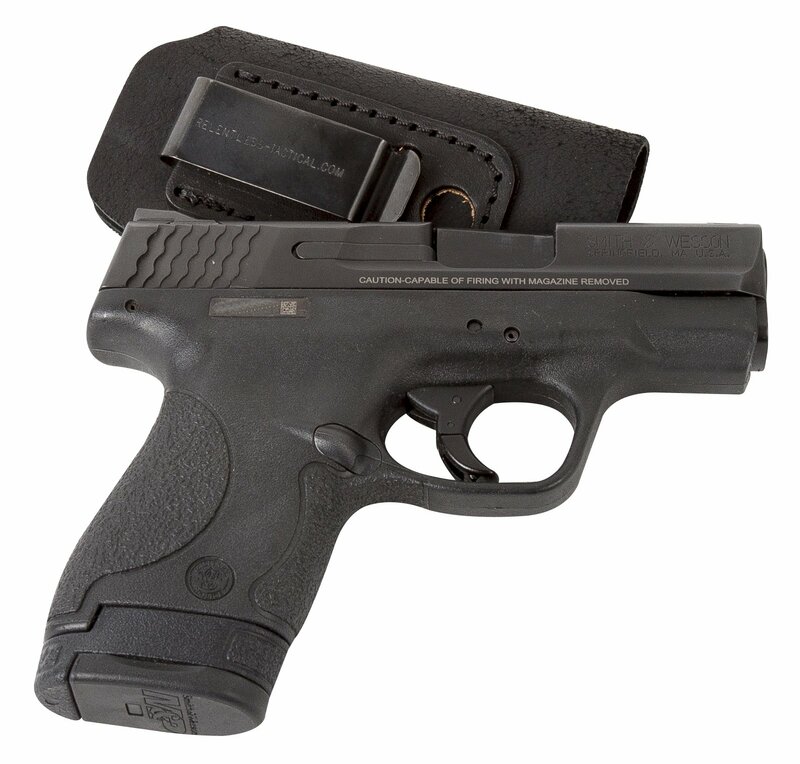 Shield is a popular concealed carry firearm on the budget. It is selling like hotcakes in the ever expanding gun market. What makes it so popular? It is a semi-automatic gun which is about 1 inch in width. It is a 9 mm power packed firearm which is ultra-light with a good design. It fits right into your glove hands and bare hands, alike. It has a great chassis system and is safe to use with its patented deactivation system and a unique thumb safety feature. The best way to carry a shield handgun is inside the waistband. Let’s find out more about IWB holsters. IWB holsters are worn inside the tuck. The materials used to make these are plastic, leather and Kydex. Depending on your needs, pick the best one for your needs. Some will prefer a fully covered holster which doesn’t touch your skin and some want a holster fitting your firearm perfectly. How To Pick The Best IWB Holster? It comes in two varieties-tuckable and non-tuckable. You can tuck your shirt with some and cannot in some more. A good IWB holster finds a delicate balance between hiding it and accessing it easily in case of danger. Find an IWB holster which doesn’t create a lot of friction when you are removing the weapon. Since it is tucked inside the undergarments and pants, if you are planning to keep your gun in for long hours, you may want to make sure it has minimal skin contact and is crafted out of skin friendly material. Tactical jackets, fanny packs and underpants sound like a fancy choice but for everyday use and for carrying your weapon concealed when you are going out in public space, inside the waistband is the best choice for daily use with comfort. This is a product from CYA Supply Co. which is an inside-the-waistband holster designed for shield 9 mm or forty Cal. It is a great choice for someone who carries a shield on a daily basis. It uses premium thermoplastic material boltaron which provides high impact and resists temperature related shrinkage or expanding. Boltaron is resistant to wear and tear, chemicals and is very durable. It is designed to reduce wear and friction which increases safety while drawing it back. It is an IWB holster which comes in 3 colors- black, carbon fiber black and flat dark earth which is available for right and left-hand draws. It has adjustable cant which can be set at preferred angles between zero to fifteen. It has screws that are adjustable to whichever retention you like. It has a nice and wide belt clip to secure your arm. It conceals your weapon nicely irrespective of your body size and doesn’t make your hidden device look like a protrusion. It should be used carefully, if the thermoplastic material tears anywhere, it will loosen the belt grip. But this will happen only under very harsh use, not everyday use. If you are looking for a holster that looks elegant and fits many models including S & W shield, Glock 19, Sig P239 and other clone models, you are on the right page. It is an American made product which is handcrafted by people who know how a holster serves your firearm. It is tough, fitted perfectly for your comfort. It is made with suede leather to enhance its performance and even looks stylish. It is a great alternative for those who are tired of using nylon. It offers you a lifetime warranty which shows how much the makers are willing to bet on its toughness and quality. It comes in two draw providing better options for both left and right-hand users. It is easy to draw, even if you want to remove in it less time frame. It is due to this that many people swear by this holster for ease of removal. If you are someone who doesn’t wear a lot of shooting range clothes, this holster might not entirely hide your weapon if you are wearing a regular summer attire. It is a holster crafted by Relentless. If you want a carefully made holster with premium leather to not just look good but also draw it quickly in case of emergency, this one is the best. It is a great combination of style and comfort. It is so stylish that you will love to show it off to your friends. It comes in two colors- black and brown withdraws suited for both hands. It is made by craftsmen in America with American bull hide leather. No artificial materials are used. It has a small break in time and can fit your shield snug. Relentless tactical has claimed that they are ready to give this holster a guarantee for life. It fits all XD styled handguns and shield. You can tell the designers have paid great attention to make holstering and re-holstering easy and have strived to provide a minimalistic design. It is little expensive and you cannot tuck your shirt with this holster. Are you a law enforcement official who carries a handgun throughout the day? Or are you just a firearm enthusiast who wants to be safe by carrying a firearm when you are going out alone? If the answer is yes to any of the questions, chances are you will need a good holster to keep your gun safe, close to your body and with comfort. Along with that, you should also get yourself a lightweight weapon like shield. 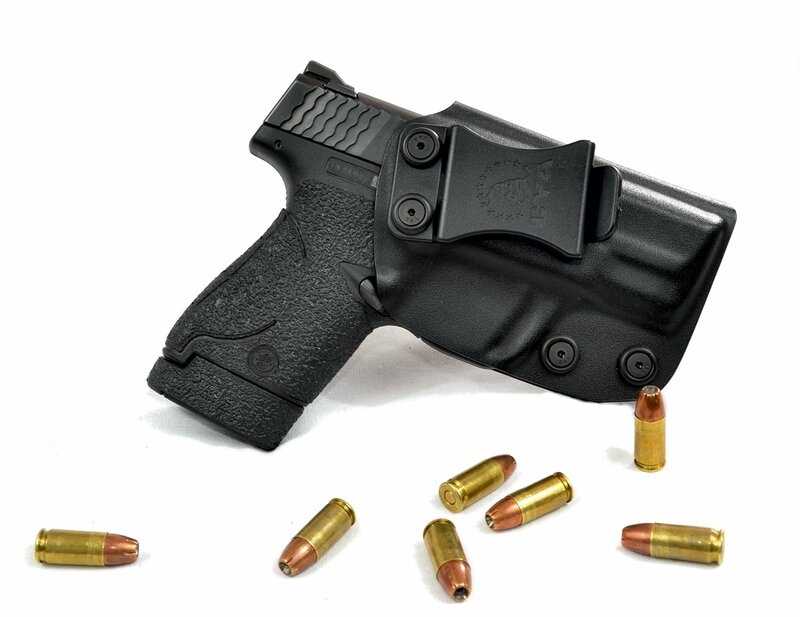 We have paid great attention to give you a detailed review of the 3 best IWB holster for Shield. Just like a wallet is important to carry your cards and important ids, it is important that you choose the best style of holster based on not just the price of it. Nice review. I carry the Exarchy Holsters Patriarch holster for IWB carry with a viridian laser. I have the horsehide backer and it’s extremely comfortable. Great people too. Customer service is great. The owner will work with you to help you figure out what works best for you and will make adjustments to any holster. Mostly for free. They have a lifetime warranty too. Can’t go wrong.